Below is a table detailing the assumptions I made of the assumptions I had after my first autoethnographic encounter and what was learnt through further literature research. While not all my assumptions were completely wrong I definitely still had a lot to learn. What I am also finding is that the more involved I become in this autoethnographic study, the more interested I become in the cultural significance and background of the Bollywood film industry. this has unintentionally caused some of my research to go off in a tangent to some extent, relating less to language acquisition and more to the cultural language study of the Bollywood genre. I am finding that I either need to shift to topic of my auto ethnographic study or attempt to refocus. The assumption that was made was in relation to the parameters od the autoethnographic research. Initially I set out that I would use multiple media texts in my methodology to obtain personal experience. I believe that this assumption was a little presumptuous. Even though I knew it would be difficult to learn some aspects of the language I did not realize how difficult it would be. I can to the realisation that little would be gain from this experience if I was to continue in the same fashion viewing multiple types of texts to acquire even the most basic level of language acquisition when starting from scratch. In reflection I believe that the greatest personal experience will come from focusing on one individual text and to absorb this text on a number of occasions and then focus my research around this. A number of factors play a part in the change of the parameters of my methodology. The first is the time period over which this research was conducted and the hours that could be dedicated to it. The most important factor was though the lack of a foundation of understanding of the Hindu language. Due to this I have now watched the same Bollywood film three times and each time I find myself picking up on some new words even if only for a moment and reaffirming the ones I have previously picked up. I also become more aware of different aspects of other communication aspects present in the film. In my first notes I stated that the Bollywood movie Yeh Jawaani Hai Deewani was produced using the Hindi language and that because it is a contemporary media text it would provide a context for the language that included slang and colloquial language. ‘Bollywood productions are today acknowledged as the generator of and vehicle for contemporary popular culture in India.’ (Goethe Institute, 2016). My assumption while correct was also limited and basic. The language used in Bollywood films is much complex then simply Hindi. English was used in the film not only when on location in an English speaking country but also the occasional modern words which are the same in both English and Hindi, for example the word internet. According to the Goethe Institute (2016) The language used in Bollywood films has a distinctive supra-regional integrative quality. ‘The code switches between sociolects, standard languages and distinct Persian and distinct Persian or Sanscrit features, jargons with regional variants right through to other Indian national languages such as Panjabi, Marathi, Gurarati and not least English’ This is throughout films in the Bollywood genre. While this assumption is not related to language acquisition I thought it was important to note that when I first watched this Bollywood film something about the premise of this music seemed strange and stupid to me. Upon critical analysis of this observation I was able to gain a better understanding of why they premise of this musical seemed so foreign to me. I am used to watching musicals that are either produced on Broadway or in Hollywood. Musicals made in Hollywood and on Broadway tend to focus around entertainers because they are focused on making the musical aspect of the story seem as realistic as possible. Though according to research ‘Bollywood is not encumbered with adherence to realism’ (The Bollywood Ticket, 2016). This knowledge to make a better understanding as to why this this musical seemed so strange to me. Unconsciously I felt disconnected from the storyline because it lacked that realism that I am used to in musicals. Never did I have the assumption that I would be able to gain a complete understanding of the Hindi language simply through studying media text produced in this language. Though I did assume that when were hear of people acquiring a language through media that it is all they have used. It is evident through the research conducted that while media texts provide a great tool in the acquisition of a language, it is simply a part of the process and other learning is needed this can take place through classes in a more formal context, though in a less formal one it could simply be researching on the internet. Aiping et. al. (2016) in the article Exploring learner factors in second language (L2) incidental vocabulary acquisition through reading, states that ‘second language incidental vocabulary acquisition through reading usually involves the process of through reading usually involves the process of learners noticing an unknown word, searching for its meaning, and elaborating upon the form meaning connection’. Learning a language through listening in this case is quite similar, it is all part of a process and in most cases further research is conducted to obtain a complete understanding of the language. Aiping, Z, Ying, G, Biales, C, & Olszewski, A 2016, ‘Exploring learner factors in second language (L2) incidental vocabulary acquisition through reading’, Reading In A Foreign Language, 28, 2, pp. 224-245, Education Research Complete, EBSCOhost, viewed 29 October 2016. Goethe Institute (2016). Multilingualism – Languages Without Borders – Projects – Goethe-Institut. [online] Available at: http://www.goethe.de/ges/spa/prj/sog/ver/en5356222.htm [Accessed 12 Oct. 2016]. Thebollywoodticket.com. (2016). Introduction to Bollywood – The Bollywood Ticket. [online] Available at: http://www.thebollywoodticket.com/bollywood/beginner.html [Accessed 11 Oct. 2016]. Studying languages comes easily for some and is a curse for others. I am one of the latter. I have friends that can speak multiple languages fluently and yet I can’t seem to get any further than my native tongue. I am somebody who has attempted to study several languages and not succeeded, even with the help of classes, tutors and so on. 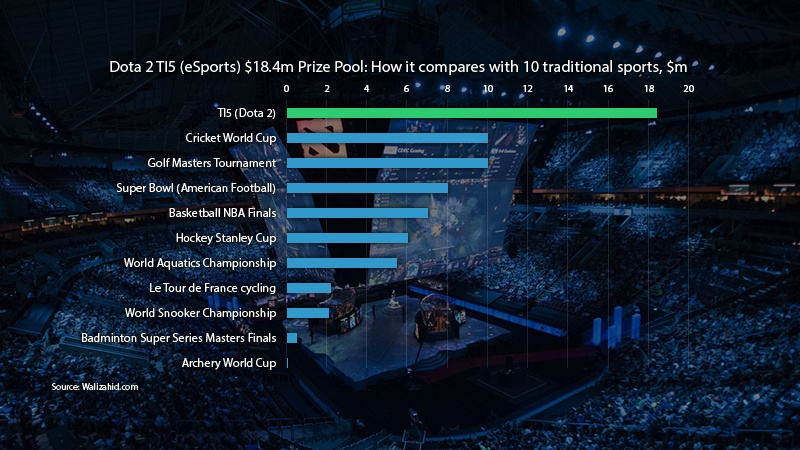 Because of this I find it fascinating that people could simply use a TV Show or a game to learn a foreign language. Whether is be stories of migrant learning a language through a TV Show or kids picking up a language through their favourite card game, the evidence for the success of the use of media as a tool for language acquisition is overwhelming. These observations and stories of language acquisition success have brought me to form a topic for autoethnographic study in this area. Looking language acquisition through Asian language media texts. The answers that I am seeking to discover are not just simply can I learn any aspects of the language but also what can I learn about the culture of that language in the process. To complete the methodology in this autoethnographic study I will combine literature research relating to the study of languages and testimonials/news stories regarding people who have learnt languages using media texts. This will be combined with the personal experience of using Asian language media texts in order to learn aspects and vocabulary of various Asian languages. When looking online the extent of language learning resources and tips for learning languages can be overwhelming. To obtain some ideas about the types of media texts to use for this research I chose to collate some of the suggestions from a simple google search and the following table summarises what I found. This research gave me some great ideas for a starting point. I chose to not focus on the choice of language as a driving factor for choosing the texts but to simply find texts which interest me not matter the language which the text was done in. this research will not in no means result in me being fluent in a language but I hoped what I would gain from this research is some vocabulary in a language be it only a couple of words and no more. But what I also hope to gain from this experience is a better understanding of language in the context of these various texts. What I needed to be careful of was as stated by Anderson (2006) not to allow this research to devolve into self-absorption and that would result in the loss of its sociological promise. Autoethnography allows for creativity in regards to its presentation, going beyond traditional methods of writing. While my research will be writing it will take the shape of journal entries documenting my progress and research through blog posts on my personal blog these posts will simply provide a home for the Snapchat videos documenting my personal experiences throughout this autoethnographic study and allow me to expand and reflect upon my findings. To start off this autoethnographic research I will include a brief account of my first autoethnographic encounter, learning a language through a Bollywood film. I choose a Bollywood film for three reasons. And finally, as this was the first emersion into this research I thought I would ease myself in with the language through something that I was familiar with. The pause and rewind button got a work out. It was a lot easier to keep up with the dialogue then the songs due to the pace. Attempting to learn aspects of the language and document it at the same time meant that I did not become involved in the storyline of the text at all and watching the movie took twice as long therefore I didn’t finish it because Bollywood movies are already two hours long. The key words I found myself picking up are the ones which sparked my interest, random words which either stood out or were part of the sentences which had unusual sounding subtitles. It does not at all permit the acquisition of written language. Yeh Jawaani Hai Deewani. (2013). [film] Johar, K. & Johar, H.
Watching the first episode of the 1988 Hindi TV-series Mahabharat and accounting for my experience by live-tweeting my thoughts and opinions on the show has left me with a lot of questions. Is television anywhere near as popular in India as a pastime as it is in Australia? What was the real message behind the show? Why on earth was Ganga killing all her children? With these questions and my cultural assumptions in mind, — which can be found in my first post here — reflecting on my autoethnographic accounts of a cultural phenomenon can be insightful and revelatory. Reflective analysis not only highlights “dominant narratives” and “ways of thinking” about culture but also pursues a deeper understanding of such experiences on a larger cultural scale (Warren, 2009). By scrutinising my initial comments and assumptions, and by conducting a little more research on all those postulations I tweeted about, here I am, trying to make sense of my Mahabharat experience. My first enquiry is into the prevalence of television in India, and more precisely, the popularity of Mahabharat across the country. Researching this felt like a history lesson, but albeit an intriguing one. Television for me is a staple, and consuming programs on TV like there is no tomorrow is something I pride myself on. Television in India was introduced in 1959, however “transmission was restricted to areas in and around the capital city of Dehli for over a decade” (Kumar, 2006, p.57). 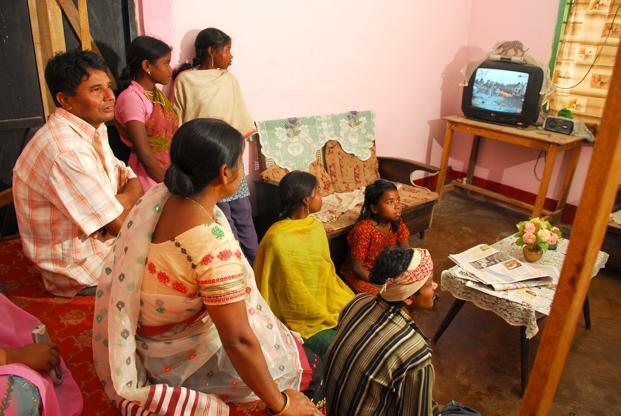 With the arrival of the TV in the Indian family home came the inevitability of globalisation, and moreover a connection to “an increasingly mobile world around them” (Kumar, 2006, p.64). Television allowed families to share in entertainment experiences, created a bond between individuals and the characters they saw on-screen and moreover kept people informed. Now that context has been somewhat established and the history of Indian television successes has been explored, my next question is about the content I saw in the first episode of Mahabharat. There were several times throughout the course of the 40 minute show I was left scratching my head in confusion. Was this simply because of a cultural barrier or was the show itself confusing? My guess is the aforementioned. Mahabharata — note the ‘a’ at the end this time — is one of the major Sanskrit epics of ancient India. Denoting information on the development of Hinduism, the poem was traditionally attributed to be the work of Vyasa. According to James L. Fitzgerald (2009) of Brown University, the Mahabharata “presents sweeping visions of the cosmos and humanity and intriguing and frightening glimpses of divinity in an ancient narrative that is accessible, interesting, and compelling for anyone willing to learn the basic themes of India’s culture.” The sacred text was the basis for the television series Mahabharat, and the first episode I saw was regarding the story of Devavrata. To put it briefly, the first instalment of the Mahabharat series shares the story of King Shantanu and the relationship he has with the goddess Ganga, with whom he marries in human form. She is described by her “superhuman loveliness” (Rajagopalachari, 1979, p.19) and Shantanu’s infatuation with her is duly noted. Following the birth of their children — they have several throughout the course of the first episode — Ganga drowns them in the sacred river Ganges. The first episode of Mahabharat doesn’t explain why Ganga does this, however it is believed that it was due to a curse. So, mystery solved? I think so. Watching the first episode of Mahabharat with absolutely no knowledge on traditional Hindu stories, the Mahabharata or Sanskrit epics proved challenging to say the least. Not only was it made clear that I was an outsider in this cultural experience, but it also highlighted how unfamiliar cultural phenomena can lose meaning when shared across transnational borders. As I tried to make sense of my Mahabharat experience my own understandings of Hinduism and India’s entertainment industry were confronted with new ideas and interpretations. As I have acknowledged before, autoethnography demands self-reflexivity and openness to interpret a cultural experience. By researching my cultural assumptions and addressing my ethnically driven concerns with information from books, eminent media platforms and social and historical commentary, my experience and understanding of Indian television and the Mahabharat experience I encountered has profoundly changed. The next time I sit down to watch an episode of Mahabharat I won’t be so thrown by Ganga drowning her children, and I will be able to appreciate the cultural heritage present in the telling of a great Hindu epic. Rajagopalachari, C., 1979, Mahabharata, Bhavan’s Book University, Bombay, 400-007, pp.19-22. I have been a fan of Bollywood film ever since I was first introduced to the three-hour classic Kabhi Khushi Kabhie Gham in high school. I can quite clearly remember being amazed by the intricate details in the costumes, the set designs and the drama throughout the course of the film. Last year I even dedicated my DIGC202 project to my Bollywood film experiences through the form of a YouTube channel. Wanting to stick with something somewhat familiar to me — that being my growing appreciation for Hindi culture, — I decided to focus my autoethnographic research project on my experience of Hindi television. In doing so, I hoped to further heighten my understanding of Indian culture and thus become a more culturally aware individual. “Autoethnography is an approach to research and writing that seeks to describe and systematically analyse personal experience in order to understand cultural experience.” By live-tweeting my personal experience of a Hindi television show — an aspect of Indian culture entirely foreign to me — I hoped to produce an authentic account of my experience that could enhance my understanding of Indian culture. 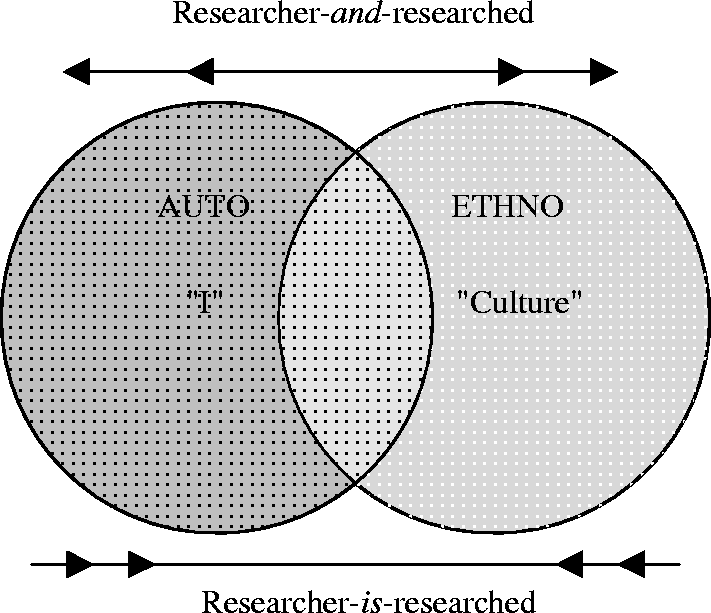 Autoethnography as a methodology aims to “facilitate understanding of a culture for insiders and outsiders,” and whilst viewing Hindi TV for the first time, my status as a cultural outsider became painfully apparent. Upon deciding on experiencing Indian TV for my autoethnographic research project, I was then tasked with finding an appropriate Hindi television program. It was here that I became awfully aware of the fact that I was an outsider looking in. When choosing an Indian TV program to watch, I found it incredibly hard to locate a show online that was both accessible in Australia and had English subtitles. I initially wanted to watch a TV show called Comedy Nights with Kapil due to its SNL parallels and comedic value in India, but after several failed attempts to find an episode with English subtitles, I gave up and chose something completely different. Due to its universal accessibility — meaning it was available with English subtitles on YouTube — I chose Mahabharat as the field site of my autoethnographic research. 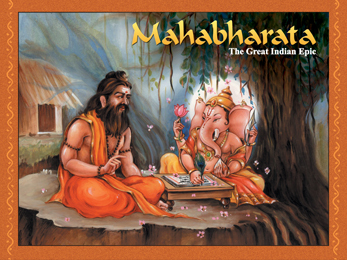 Mahabharat, produced and directed by B.R. and Ravi Chopra, was first aired in India in 1988. It tells the story of the Hindu epic of the same name, abounding in religious, social and political history and commentary. The 94-episode series falls into the historical-drama genre and was well received by audiences across India and made popular transnationally thanks to the diversification of Indian diaspora. 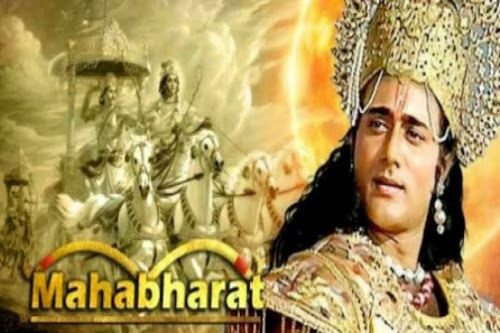 In order to share my autoethnographic experience of Mahabharat and provide a detailed account of my thoughts, feelings and interactions I decided to live-tweet whilst watching the first episode. Twitter has been utilised among many as a tool for interactive communication, accessible to the masses as a way to actively participate in conversation and debate (Kassens-Noor, 2012). In choosing Twitter as the outlet for my initial accounts of Mahabharat I was aware that my unfiltered commentary would be readily accessible to any user who happened to search the Mahabharat or DIGC330 tag. It is believed that live-tweeting “promotes connections with real-life learning, thereby encouraging critical reflection and fostering enhanced understanding” (Kassens-Noor, 2012, p.11). I wanted the live-tweeting process to not only enhance the cultural experience I was immersing myself in, but to ultimately challenge the way in which I “see how every day communication produces cultural norms” (Warren, 2009). Some of the tweets I shared whilst encountering Mahabharat for the first time — and the first impressions, cultural assumptions and opinions I had on the show — have been included below. In my attempts to discern unfamiliar cultural meanings and contexts, I have been able to expand on the knowledge I had previously possessed on Indian social values and norms. Moreover, by participating in my viewing experience of Mahabharat I have been able to question my own place in the world, and how this in turn shapes the way in which I interpret or make sense of others. Mahabharat as a field site has consequently both enlightened and challenged my “assumptions of the world” and has hopefully made me a more culturally appreciative and understanding individual. Kassens-Noor, E., 2012, ‘Twitter as a teaching practice to enhance active and informal learning in higher education: The case of sustainable tweets’, Active Learning in Higher Education, 13(1), Michigan State University, Sage Publications, pp.9-21. Sticking on a similar theme to last week’s Blog, this week I have been looking at the Director of Dark Water, Hideo Nakata. He is most well-known for his directing of Ring (1998) Ring 2 (1999) and directing the American remake of his own film, The Ring Two (2005). Nakata has gained a sort of cult following by ‘J-Horror’ “Enthusiasts” with him being labelled “the Ring Master” in an interview with Off Screen in 2000 and “The Godfather of J-Horror” by the Japan Times earlier this year. Despite his fame, Nakata’s ‘Ring’ was by no means the beginning of Japanese Ghost and Horror Stories. In his interview with Off Screen, the interviewer brings up the “older tradition of Japanese supernatural stories … Such as Kwaidan or Ugetsu”. Nakata replies, saying that he has studied them both along with an old Kabuki theatre production Yotsyua Kaiden. I’ve come across the film Kwaidan (1964), literally translated to ‘Ghost Stories’ (Which, incidentally is the name of an anime series, which is totally worth its own study in cross cultural production of content and meaning), in previous weeks as I’ve been searching for influential and important Japanese horror films to watch. I’ve seen the trailer, and have downloaded a copy (tsk tsk) to watch this week. Doing more research on the film, I learnt that it was based on the writings of Koizumi Yakumo, who was also known as Lafcadio Hern. Hern was born in the Ionian islands of Greece in 1850 and emigrated to Ireland with his family in his early childhood. In 1869 Hern Travelled to America where he lived and worked as a writer until 1890 when he moved to Japan as a Newspaper Correspondent. His book ‘Kwaidan: Stories and Studies of Strange Things’ is his English interpretation and recolouring of old Japanese stories from Japanese books “such as the Yaso-Kidan, Bukkyo-Hyakkwa-Zensho, Kokon-Chomonshu, Tama-Sudare, and Hyaku-Monogatari”, interestingly and strangely followed by a semi-scientific and definitely philosophical study of Insects. After reading his story “THE DREAM OF AKINOSUKE“(of Chinese origin), his study of insects has become more clear. The story uses a butterfly and an ant as metaphors. The three drunken characters in the story discuss how what these insects might mean in relation to the dream that Akinosuke has in the story. Herns discussion of insects at the end of his book seems to be a study of their potential meaning in Asian literature. Right… so that didn’t exactly focus on the role of celebrity, but more a flow of research for the week. I’m looking forward to reading more of Herns stories and deliberations on insects when I have time, and seeing if any of these themes or ideas, flow through to modern day Asian horror films. Last Friday I was invited to go and experience my friends’ new home theatre room. Armed with a six-pack of James Boags, an armful of Thai food and my bright yellow fox onesie, I was ready for a long night of thrilling theatre. Descending the stairs to their once creepy basement, now beautifully carpeted theatre room, the group was presented with our choice of films for the evening. Amongst our selection was; ‘Hansel and Gretel and the 420 witch’, ‘Fear and Loathing in Las Vegas’ and ‘Dark Water’. Being aware of the potential for Japanese horror to mentally scar us, we opted to watch Dark Water first and then sooth ourselves with the other two movies afterwards. In brief, the movie follows a mother and her young daughter who have recently moved into an old apartment block after the breakup of their family. The apartment has problems with water leaking from the ceiling (Dark water), and the mother starts seeing a ghostly figure of a small girl around the apartment. As the story unfolds we began to learn that this ghost child used to live in the apartment block and had gone through a very similar situation to the real child, facing the possibility of being neglected and forgotten during her parents’ divorce. 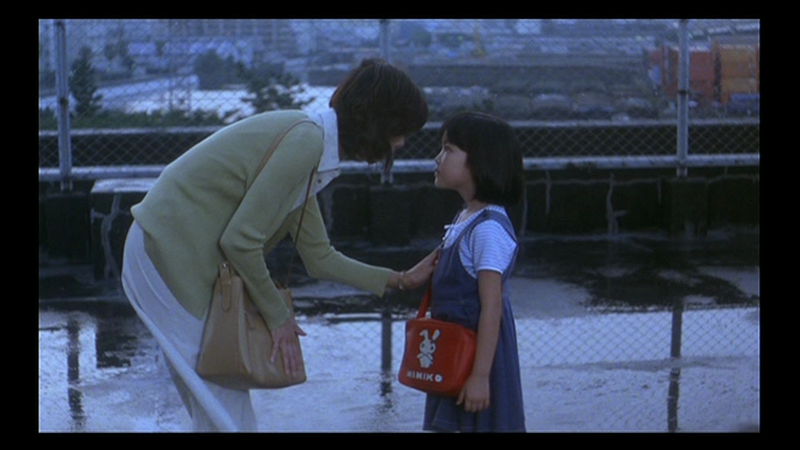 As it turns out, this ghost child was referred to as ‘Kawaii’ throughout the movie. I assume that was her actual name, but as slightly inebriated children of the internet generation we could not stop making jokes about how cute ‘Kawaii’ was in all of the jump scares and ‘frightening’ scenes of the film. While these scenes were definitely well directed and horrifying, as a group we laughed our way through the terror, yelling at the screen and enthusiastically enjoying the film. Interestingly our collective understanding (or Misunderstanding) of the Japanese term ‘Kawaii’ shaped our experience of the film, regardless of how insignificant its use seemed to the overall story. As I understand it, the term ‘Kawaii’ means adorable or cute and has been attributed to a section of Japanese popular culture that embody these qualities. In the context of this film, it seemed odd to name the ghostly apparition that was depicted as threatening and horrifying, after a term that was used to describe things that were cute and innocent. Looking back at the ending of the film and the motivations given for the ghostly girl, the name Kawaii seems slightly more apt to the character and was probably a conscious decision by the film makers. Updated: to format references correctly. 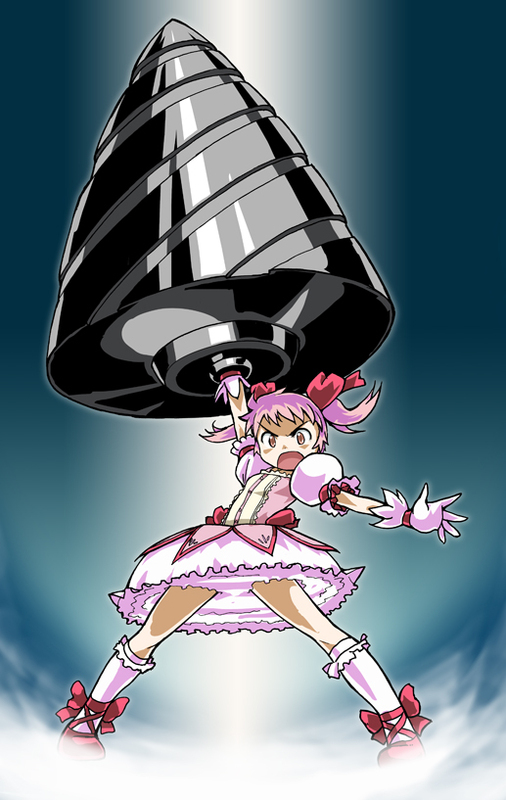 Over the past week I have been lurking on the Reddit board r/anime (Reddit 2014). Every day, I have been perusing the top 100 posts in an attempt to familiarise myself with anime beyond what is shown on Australian screens. In short, the experience was isolating. Scrolling through the posts felt like walking past strangers. The content I viewed was varied but seemed to be primarily focused on image. Characters were presented either in stills or as fan drawings, with little explanation to where they are from. Reddit, as a platform, is well-suited to this sort of image heavy board (Fenn 2013). But this format made it harder for me to engage with the content and the community. It is easy to scroll past strangers, just as it is easy to dismiss dialogue you don’t understand and jokes you are not apart of. As it is rightfully allowed to be, the board and community within is clearly geared at an experienced viewing audience, rather than hooking in new viewers. Perhaps, for this reason alone, it is not the best place to start my viewing experience. Aside from the board layout, I also suffered from my own bias. Last semester, I conducted a small-scale research project with another UOW student into Reddit’s AdviceAnimal memes (Bauer & Shalavin 2014). The results showed that some of the memes did show women in a negative light but were deemed not offensive as they were of a joking nature. As such, I began viewing the board with the assumption that some content would in fact be misogynistic. This accusation has been thrown around the anime community before with fans pointing out the hyper-sexualised construction of female characters (Cross 2014). However, while I believe I was searching for this over the past week, I do not believe I found it. While most image-based content featured female characters, they were hardly ever represented as overly-sexualised. Instead, they were largely drawn in empowered stances or situations and praised in the comment sections. My experience was hindered by both myself and the site I attempted to engage in. It is, of course, not the community’s fault that I felt isolated as I was a novice nor that I walked into experience with a poorly informed view of female representation in anime. Perhaps this is a site to return to after I have begun my viewing experience.